Hoboken Well Established Unique Pizzeria Restaurant for Sale! 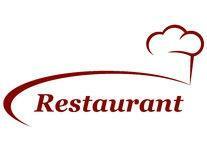 Very profitable, well establishment business w approx restaurant 1000 sq ft and basement 1000 sq ft. The location seats 30 patrons inside and has outdoor seating for 16. Located on Washington St this busy restaurant has constant traffic. It's appealing menu caters to family dining, busy lunch , college students favorite spot. This restaurant offers high ceilings, large display area, professional pizza ovens, large kitchen, full basement w fire rated ceilings, great for prep area, office, and storage. Impressive numbers! n 21 years remaining on the lease. This is a"Turn Key Sale" for the Smart Buyer Perks! !